eLearning Trends and Predictions for 2018 is a free eBook designed to provide pointers on trends and predictions that you can use to enhance or create your Learning and Performance Ecosystem. Beginning of the year is full of promise, with excitement in the air, and we look forward to evaluating new possibilities. As you start preparing or firming up your L&D plans for 2018, you would be on the lookout for new ideas that you can use to create high impact training programs that enhance employee performance. You would find my eBook on eLearning Trends and Predictions for 2018 as a useful guide in picking up ideas that you can use or plan to deploy in the near future. I begin with a disclaimer though; as I don’t have a crystal ball. However, the pointers shared in the eBook reflect my own understanding, application, and potential of each of these pointers. 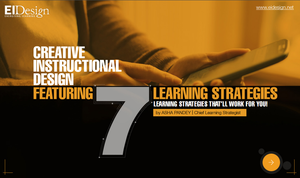 As the Chief Learning Strategist at EI Design, I have had the privilege of working with L&D teams across the world. 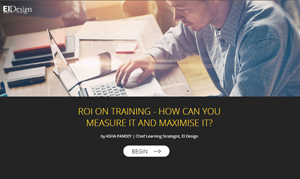 The last 4-5 years have rapid changes in the way learners want to learn and how businesses want to see and measure the impact on training spend. We, at EI Design, have been partnering with our customers in this phase of “learning transformation“. The pointers shared by me in this eBook reflect insights from this close interaction and collaboration. As you browse through the eBook, you will see how many of the aspects are interconnected, and how one is fueling the growth of another aspect. 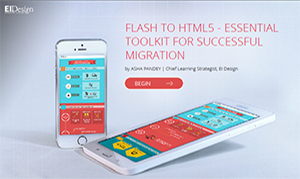 mLearning or mobile learning is helping microlearning (or vice-versa). Wider adoption of microlearning is enabling its usage not only for formal learning but also informal learning. 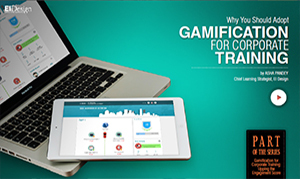 Usage of video-based learning (including interactive videos) and gamification has seen an increase in higher usage of microlearning. mLearning is also pushing personalization. 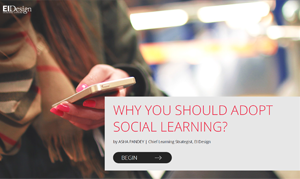 Personalization, curation, and social learning are pushing the adoption of learning portals. 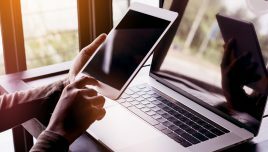 How Will The eBook eLearning Trends And Predictions For 2018 Help You? 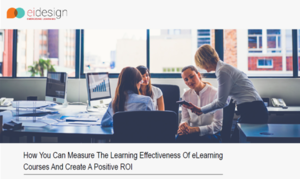 At EI Design, we see organizations moving beyond investment on only formal training to an ecosystem-based approach that creates a superior learning culture. This approach promotes “learning as a continuum”. So, my assessment is that this eBook will provide you with pointers that should help you create or enhance your Learning and Performance Ecosystem in 2018. My eBook provides a glimpse of what this would look like, and how exactly you would be able to use the insights in the eBook practically in your organization. Section 1: What Will Continue To Offer Value? Most entries in this section have been there for a while. However, they will see changes in 2018 while continuing to offer value. I have highlighted what I believe will change or if we will see a wider usage of each trend. This section features a trend that was part of my 2017 trends and predictions, and I have seen a clear shift towards higher adoption during the last year, and this will continue to be the case. This section has a combination of trends that are emerging, such as Artificial Intelligence (AI) in learning as well as some trends that were identified for the watch in the past 2-3 years but are clearly maturing now. Artificial Intelligence (AI) in learning. 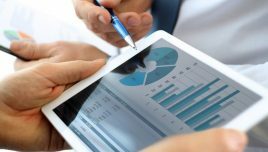 Big Data-reporting, analytics, and its usage in the determination of ROI. Learner analytics to enhance learning experiences. 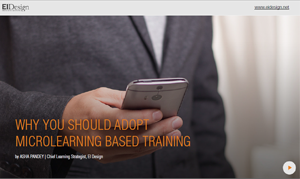 I hope the eBook eLearning Trends and Predictions for 2018 will help you with pointers you can use to enhance your learning strategy. If you have queries on how to create engaged learners through Learning and Performance Ecosystem or just implement one part of the many facets covered here, do contact me at apandey@eidesign.net.